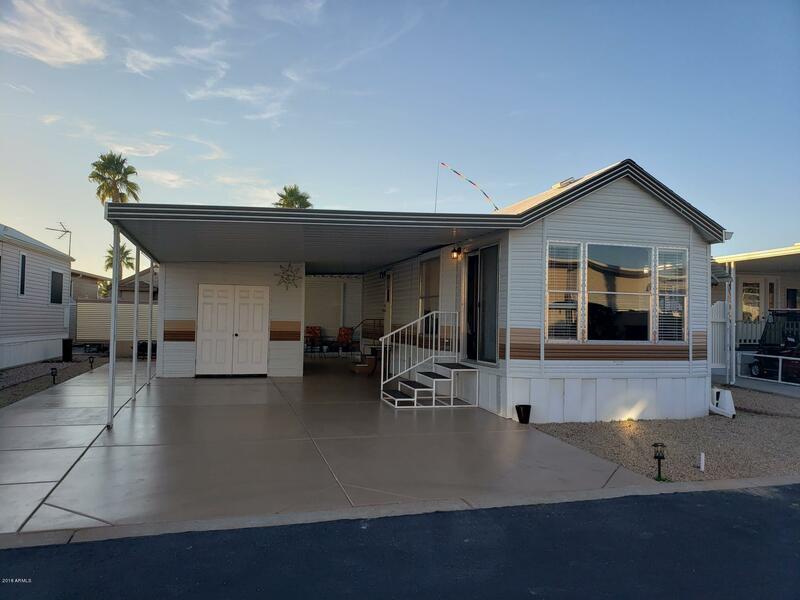 All HAPPY TRAILS RESORTS NO 5 homes currently listed for sale in Surprise as of 04/23/2019 are shown below. You can change the search criteria at any time by pressing the 'Change Search' button below. 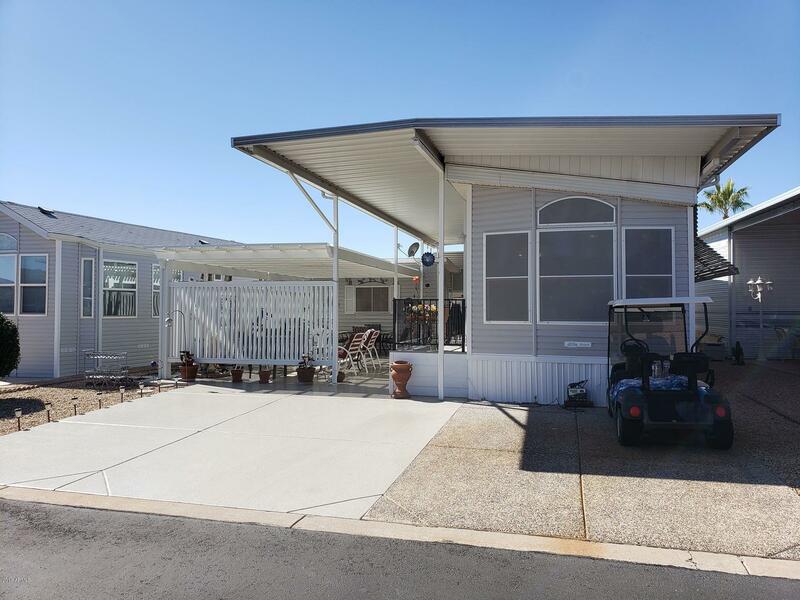 "The is a beautiful 2003 1 bedroom/1 bathroom home. The home has been kept in amazing condition. You step into a large family room with attached dining. The area is open and bright due to the vaulted ceiling. The dining area has built in cabinets for plenty of storage. There is a galley style kitchen complete with built in microwave. There is a lot of counter space and cabinet space. The bedroom is open with built in cabinets and dresser drawers. The mirrored closet doors give the room a very "
"Back on the Market!! Happy Trails BEAUTY Remodeled in 2018. Once older is now like NEW. New insulation, new walls, new flooring, new just about everything!! 1 bedroom, 1 bath. The kitchen is all new with Stainless appliances including double door counter depth fridge. Built in stainless microwave, stainless sink and separate pantry! Must see to appreciate! The hall has an area ready for a small desk or storage cabinets. Bedroom has large closet and recessed dresser leaving lots of room to w"